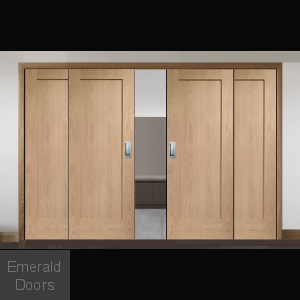 The Easi frame system is the perfect choice for dividing rooms and yet still having an open plan feel. 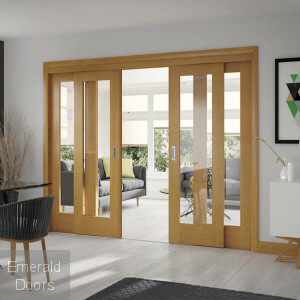 Walls can be replaced with folding doors and sliding doors to achieve an illusion of space. 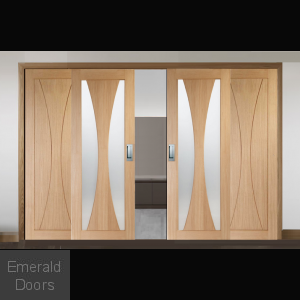 Emerald Doors offers many solutions for dividing spaces. 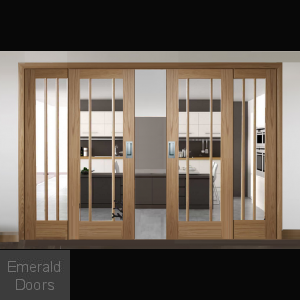 These Sliding French doors are great as they slide along the track thus saving more space as the doors do not have to open in to the room, The Easi Frame can be used with almost any door design and is suitable for openings up to 3500mm wide. 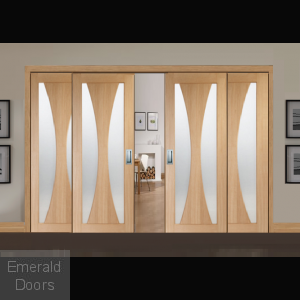 You can select the style and create your own design by mixing and matching doors between glazed and non glazed doors. Easi slide frame maximum size: 2090mm x 3500mm. The frame can be installed flush with the floor level providing the floor channel is installed prior to any floor covering, for this you must allow an additional 25mm to the height. If fitting. If fitting on top of existing floor covering then no allowances have to be made. 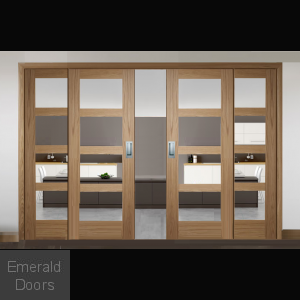 The Easi frame can only be used with standard 35mm thick doors. 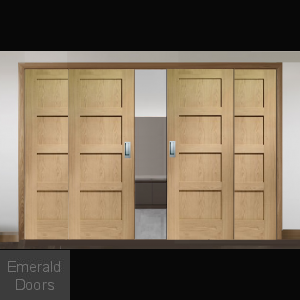 fire doors cannot be used with the Easi frame. 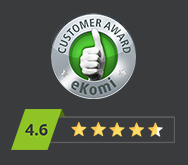 The Easi frame can be reduced in height and width to accommodate several types of opening sizes. 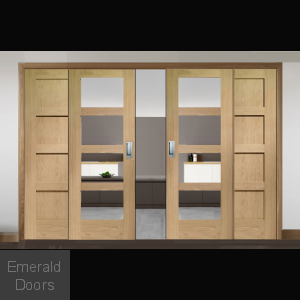 If you are unsure about what size doors you require to suit your opening or wish to discuss your requirements prior to placing your order then please call the sales team who will be more than happy to help. 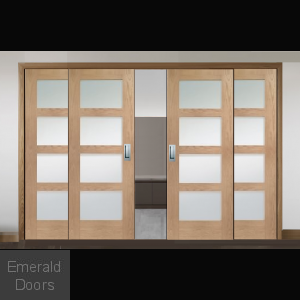 Frame are supplied in kit form ready for on site assembly, also available with the following door options or any of the doors available on our website. Please call a member of the sales team for more information.